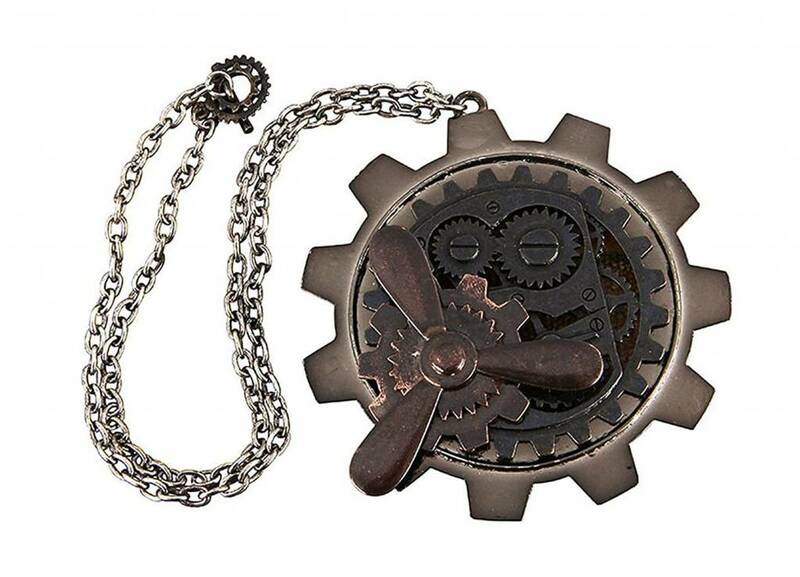 A Steampunk 3-D design has the propellers on this gear necklace looking like they're about to take off! An antique looking pendant in a large size, this necklace features overlapping layers of design adding a very unique, realistic look. 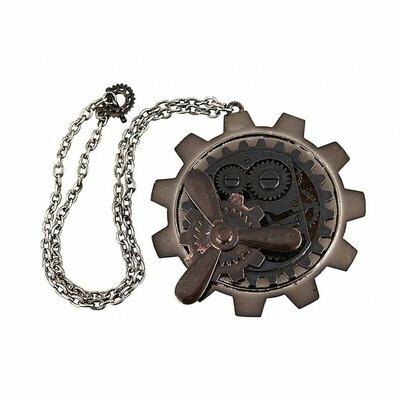 Goes great with any men's or women's steampunk outfits!